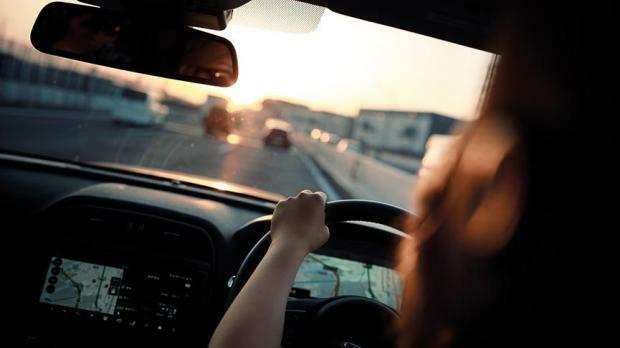 Psychotherapist and mindfulness trainer Helena Fone offers tips on how to be mindful behind the wheel. This is the ability to focus on the present when our mind tries to take us into the future, or the past, causing stress, anxiety and even depression. Imagine this scene: you get in your car, arrive at your destination and can’t even remember how you got there. Or perhaps you suddenly realise you’re on the wrong road and find yourself stuck there until the next exit? These things have happened to most of us at some time or another, and sometimes, it can be downright dangerous. This is what we refer to as ‘being on autopilot’ due to your brain being programmed to carry out repeated instructions automatically. Each time we learn something new, the brain builds a new neuropathway, and the more we use it, the easier it is to access this information [much like having an app on your phone]. That’s great for everyday routines, such as tying your shoelaces or brushing your teeth, but not always great when finding yourself on the wrong road! A staggering 47 per cent of the time, our mind is distracted so we’re not really concentrating on the job in hand. Being mindful allows us to become physically and mentally present by fully experiencing what is going on around and inside of us. Autopilot is the opposite of being mindful. Mindfulness is the ability to focus on the present when our mind tries to take us into the future or the past, which can cause stress, anxiety and even depression. It works on the simple act of focusing on the breath each time we’re distracted. Do not confuse it with meditation, which is taking yourself into an altered state of consciousness. Mindfulness has been clinically proven to relax the mind and help with concentration as well as decision-making skills. Here are some hints and tips on how you can practise mindful driving. Give them a try for a couple of weeks, and if practised regularly, you should notice a difference. • Be aware of your surroundings [something pleasant if possible]. • Notice the traffic around you. • Turn off the radio/CD. • Switch off your hands-free phone if possible. • Maintain focus on where you are going. • Practise breathing from your tummy [long and slow]. • Instead of wishing things were different [especially if you are stuck in a traffic jam], think of accepting things just as they are. Being agitated and stressed won’t get you there any quicker so try being relaxed and calm. • Resist the temptation to check the time on the clock [this is the anxious mind at work]. • When encountering angry drivers, try to be non-judgemental. Give them a smile. • Notice when your mind starts to wander and gently bring it back to the present. • Teach your kids how to be mindful passengers.